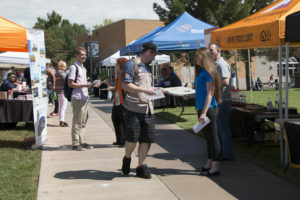 ST. GEORGE — A sense of excitement ushered in Dixie State University’s first day of school Monday, when the institution welcomed its biggest class of incoming freshmen in the institution’s history. Described by some as an air of celebration, the energy associated with a large class was palpable as students hurried from class to class, became reacquainted with friends and professors, and prepared for another semester of active learning experiences. Joining this year’s returning students, approximately 2,300 first-year freshmen registered for classes for the Fall 2016 semester, which amounts to some 400 more new freshman students than seen before at Dixie. Dixie State’s largest freshman class brings with it opportunities for students to meet more peers and better learn from one another. Contributing to the excitement felt on campus, the DSU Student Association set up booths in high-traffic areas to serve breakfast to students as part of their Week of Welcome. Dixie State’s student government will continue to celebrate the new academic year by hosting a show by Jessi Campbell, who was on “Last Comic Standing,” and closing the week with the popular Foam Dance. Student numbers are projections, and official enrollment numbers will be released by the Utah System of Higher Education after the third week of school. 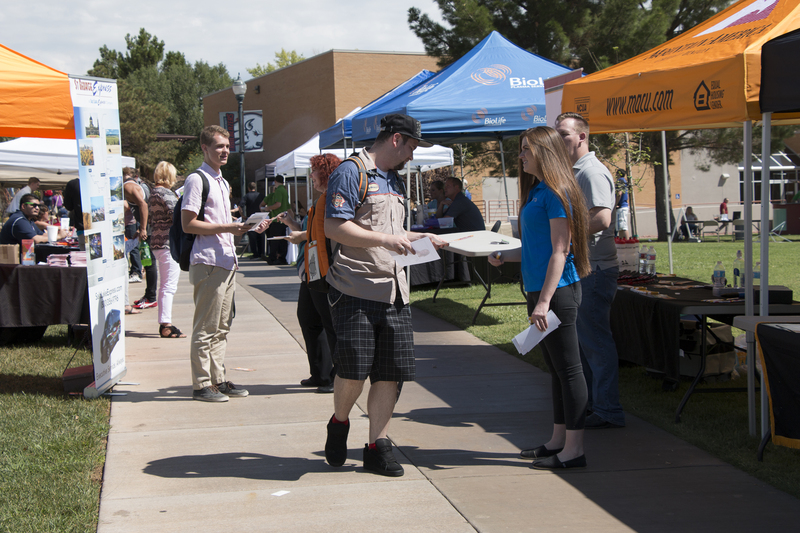 Dixie State University is an open-enrollment institution that prides itself in offering its students active learning opportunities both in and outside of the classroom. To learn more, visit dixie.edu. This is good news for DSU. I’m glad to see them expand hopefully they keep growing. This is good St George. ..